Alquézar (Aragonese Alquezra) is a municipality in the Somontano region of Barbastro, in the province of Huesca, located on the right bank of the River Vero, in its last canyon, at the foot of the mountains of Balcez and Olsón and 51 kms from Huesca. Part of its municipal term is occupied by the Natural Park of the Sierra and the Canyons of Guara and owes its name to the castle or Al-Qasr built to defend access to Barbitanya. In the IX Century Jalaf ibn Rasid ordered to construct the castle and became the main point of defense of Barbastro in front of the Christian kingdoms of Sobrarbe. 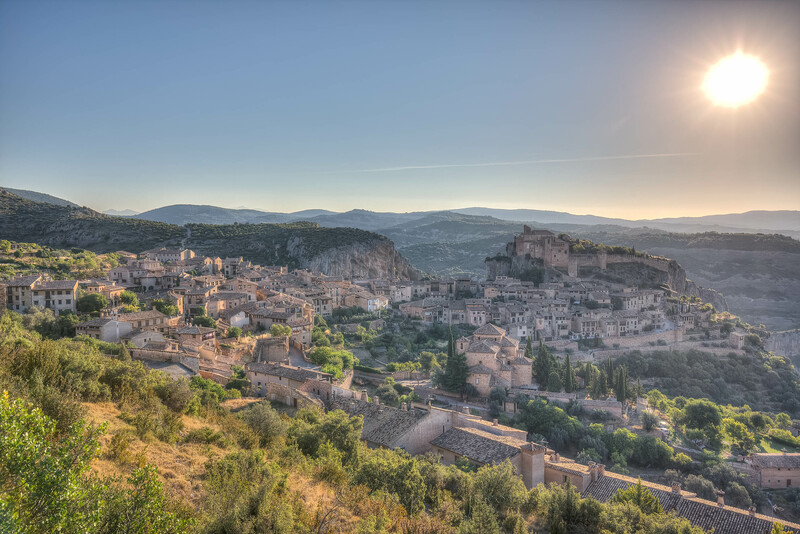 Today, only 300 people live in this medieval town, one of the most beautiful in Spain.